(Video) How to Create a Professional Looking Blogger/Blogspot Blog? Ever wondered about creating a Professional Looking Blogger/Blogspot blog or site just like a WordPress blog/site? Well, here you are. 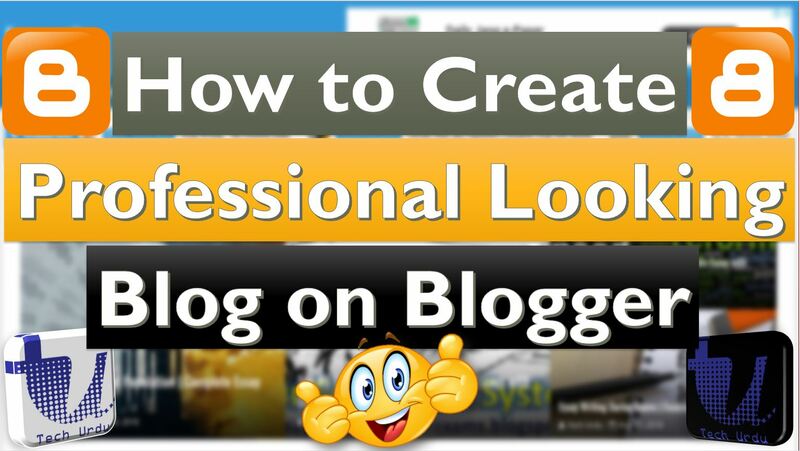 Today, I will tell you in every detail and (Step-by-Step) Creating a Professional Looking Blogger/Blogspot Blog/site. Please click on the following link to download Amazing (FREE) Blogger/Blogspot Themes for your blog or site. Two of these themes have been shown in the video. You can also get hundreds of free theme by searching on Google. The usage instructions are given in the video (in detail).